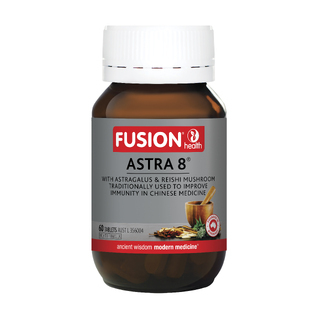 Fusion Health Astra 8 Immune Tonic contains eight Chinese herbs, which have been used for centuries to strengthen immune function, assist recovery during convalescence and promote good health. 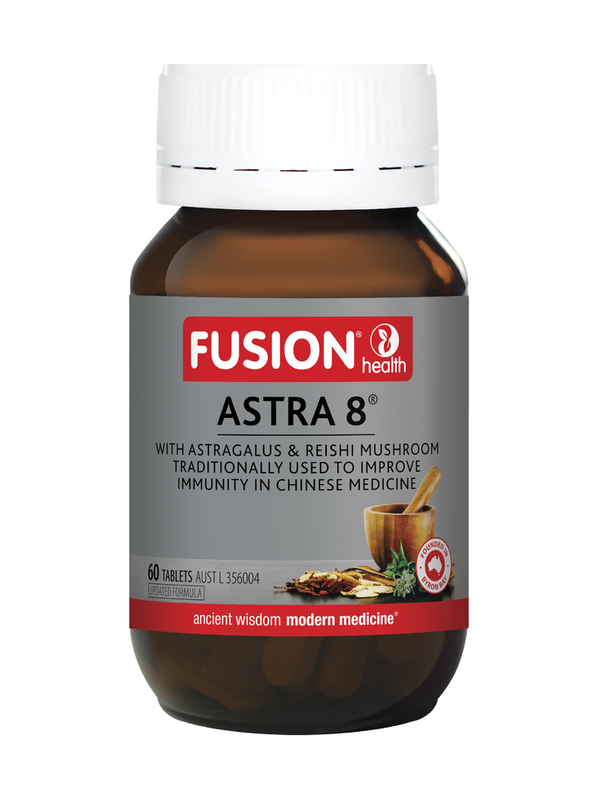 Astra 8 Immune Tonic contains medicinal grade extracts of potent Chinese herbs including Astragalus, Reishi mushroom and Siberian Ginseng. This traditional formula is based on a Chinese therapy called Fu Zheng Pei Ben. In Chinese medicine terms, Fu Zheng means to rectify and support the normal, healthy vital energy or Qi of all body systems, while Pei Ben means to strengthen the resistance mechanisms of the body, especially those underpinning healthy immune function. I have been taking Astra 8 all winter long for approx. 6 years now. If I feel I may be coming down with cold or flu, I double my intake of Astra 8 and the symptoms go away. I have not had the flu while taking these tablets even tho everyone around me gets sick. I have proved Astra 8 is the best preventative medication for keeping colds and flu away.